A modeling agency can use Event Espresso to schedule models or talent for their clients. Using WordPress, Event Espresso and the Roles & Permissions Basic add-on, talent agencies can allow their clients to have access to a website to post events and have talent or models register to work those events. Post the name and location of the event, add descriptions and instructions for the event to a orderly schedule of events. Collect any sort of information with custom event registration forms and questions. Specify the type of talent they want by using different types of tickets (e.g. Male talent, Female tallent, Tall talent, the age of the model, etc.). Create venues and reuse that venue information time and time again, so it’s easy to setup the next event. Identify staff who are in charge of the event in the case the agency talent needs to contact that person and reuse that information again also. Setup confirmation emails to be sent to themselves and the talent to act as a notification and to reiterate the details. Post an article to the Agency’s blog about the event so that agency talent can be immediately informed of the opening(s). The agency and their clients can categorize the events to make it even easier for the agency clients to find the right talent and the talent to find the right event. They can also post a calendar for the same purpose. Create a waiting lists to collect the information of talent who might be needed on short notice. Display to other agency talent which other people have registered. Export a list of all the talent registered for the event. You’ll want to use the the Roles & Permissions Basic add-on so that other agency clients don’t change another agency client’s events (individual not group control). The admin pre-approval feature agency clients can require talent to have the administrator’s approval before the events can be added publicly to the website. And, with the agency clients can require models to have a approval before they can register/book themselves for a client’s event. The Recurring Events Manager agency clients can schedule this event to occur in the future. It will open the registration and close it automatically for the client. This makes managing events even easier. The WP Users Integration addon the agency can require talent to have a website account before they can register for events. 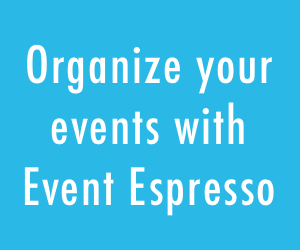 The Multiple Event Registration addon (http://eventespresso.com/product/espresso-multiple/) will allow talent to register for multiple events at once, which can make it easier for agency clients to get talent scheduled. Event Espresso is great for many uses and this is just one of them. If you’re still curious whether Event Espresso is right for you, please contact us or post to the pre-sales forums and we’ll do our best to help explain how it can work for you.